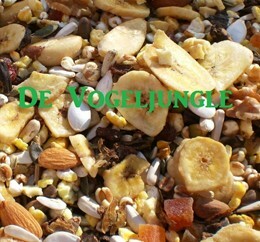 This is our first specially developped High quality mix with seeds, fruits and nuts. It includes Almonds, Cranberry, Papaya, Brazil Nuts and Walnuts. 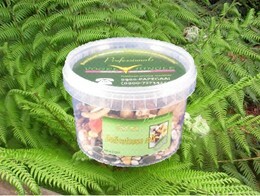 A very useful alternative to the regular diet with lots of crunchy bits to keep your bird occupied. All our ingredienst used for this mixture are coming from the Human consumption industrie, and are from the latest harvest, clean , no additives!